We are located in the North Hills of Pittsburgh, PA. It is our hope you will visit us and discover the wonderful spa services that can be tailored just for you. The spa menu includes body massage, body treatment, skin care, and nail services for women and men. We believe your stay at the spa should be more than just a great treatment, it should be an ultimate relaxing experience for you. We are dedicated to show you what makes us different from other day spas. Our goal at the spa is to enhance health and promote overall feeling of well-being. –$129 for One hour couples massage and hands & feet scrub ( a $61 saving). Offer ends 2/23/19. Harmony Day Spa is proud to announce that we are now offering gift certificates in any amount for that special friend or family member in your life. Sign up for our newsletter to stay informed about our specials, new services and other news about Harmony Day Spa! The potential benefits of vitamin C on the face are diminishing effects of age spots, radiant facial complexion, smoother skin, restoration of lost collagen and reduction in wrinkles. 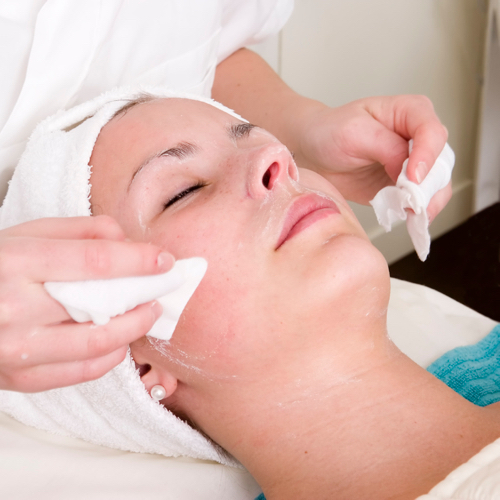 Warm facial paraffin drives vitamin C deep into the layers of the skin to repair environmentally damaged skin by reducing fine lines, decreasing pigmentation, and ultimately hydrating the skin. Recommended for all skin types. Pamper your feet and legs with a warm, soothing, hot stones pedicure and feel yourself melt away as the stones provide great heat retaining and energizing properties. It is a great treatment, especially during the winter. 5-star massage by Nathan! It was actually one of the best massages I’ve had. I get a lot of knots from working out, and sometimes massages end up being more painful than anything. This one was therapeutic and relaxing at the same time – a combination that can be hard to come by. Definitely a win with the Groupon, and the regular prices were reasonable as well. 1 hour of total relaxation. The masseur, Nathan, started by asked me what areas I want insisted on, and I have to say, he did a great job. It seemed to me he combined different massage techniques to achieve what I was looking for. I usually have a hard time abandoning myself in complete relaxation, but in this case, I had no problem going with the music, dim light, eucalyptus scent and gentle massage. At times Nathan’s massage strokes seemed to be in harmony with the musing playing. To me they deserve their name, my money and a great review. I enjoyed my hour long massage that much, that I already prepaid for the next session (ask about the discounted price when you prepay. I purchased a half off coupon from groupon and thought I’d give this spa a try. I have been under a great deal of stress recently and I found this to be just what I needed. My masseuse was professional and geared the massage to my needs. I was so relaxed by the end and feel great! I would highly recommend the female masseuse (pam?). The only downside was that I could hear a lawnmower outside Most of the time, but I dont fault the spa for this. They did have relaxing music playing the whole time. just a quick note-they provide the best in service, very friendly-clean and the prices are very good for the service! Last week I booked a massage at this spa due to a first time client special advertised for $49.00. I was impressed with the decor of the facility boasting waterfalls, candles and soft music throughout. A well maintained nice spa with a lot of services. The staff was very friendly and helpful. The therapist that performed my massage was very polite and professional always ensuring my comfort and made sure to ask often about the right pressures as they were applied. The massage room I was in was very comfy with a heated table. The massage therapist used hot towels on my back and feet that were awesome. The massage was very good, the best massage I have received in a very long time. The kinks in my neck and upper back were finally releived, and they also performed stretches that loosened my muscles. I definitely plan to return for another massage, maybe 90 minutes next time, and plan to book a manicure and pedicure for my wife also. This place is my new fav! I have never experienced such great pampering from any other spa in Pittsburgh. Thanks. Very nice people, we got a little lost and were about 30min late they worked with us and we got our massages & our pedicures. Was a great experience – very professional- very good massage! Nice Music, Nice decor, Nice Staff – Great massage with hot towels and awesome refloxology treatment by one of the male masseuse, Can’t wait till next time and taking the GF for a couple’s massage !! :) Love It ! Ping is the BEST! I experienced a facial with her and my skin looks fresh and glowing! I really enjoyed it and will be back as soon as I can! Out of the dozen or so massages I’ve had in the past 3 years, this was definitely the best! Nathan was thorough and used precisely the pressure I needed. Highly recommend!! I really enjoyed the facial. Ping was very good and the product she used was nice and made my face look and feel good. Good service, friendly, warm staff. We had couples massage. People were pleasant, and very professional. Nice stress reliever.